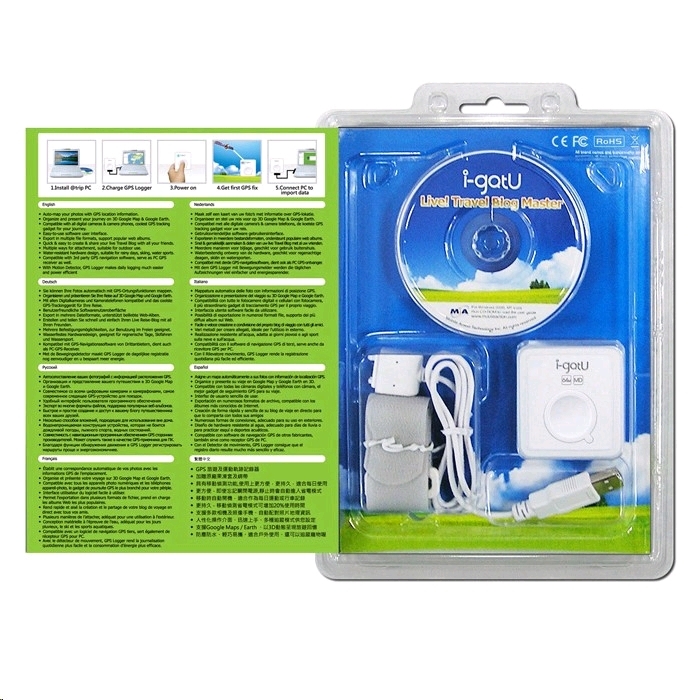 The Mobile Action i-gotU GT-600 GPS Travel Logger is designed with the SiRF Star III chip with supporting high sensitivity and low power consumption. 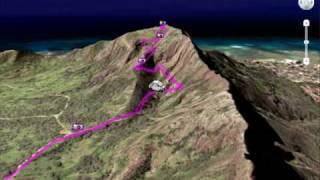 It provides GPS data wirelessly to the laptop, smartphone, pocket PC or PDA. With the third party navigation and mapping software, the GT-600 completes a full-featured navigation for your mobile devices. It also features built-in memory that can record the trace of your journey, auto-add GPS information on the photos taken on your journey, present it in 3rd dimension and export in multiple sharable file formats. 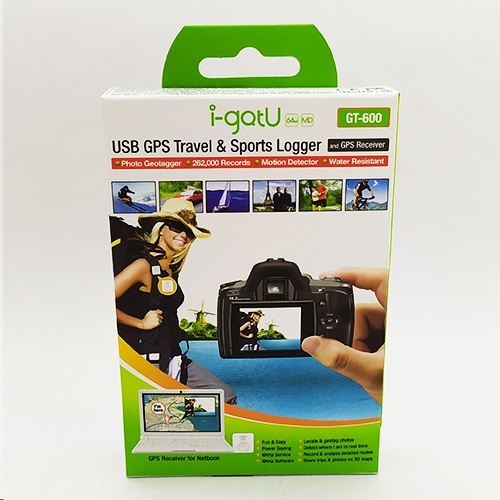 i-gotU not only is compatible with all digital cameras &camera phones available in the market, providing you the coolest GPS tracking gadget while saving you extra expenses on other equipments, but also is compatible with mainstream software Google Map/ Earth to present your precious trips live and fun! Moreover, i-gotU allows you to export in multiple file formats while integrates with popular web album Picasa &Flickr; you can create & share your live Blog with all your friends quick and easy. 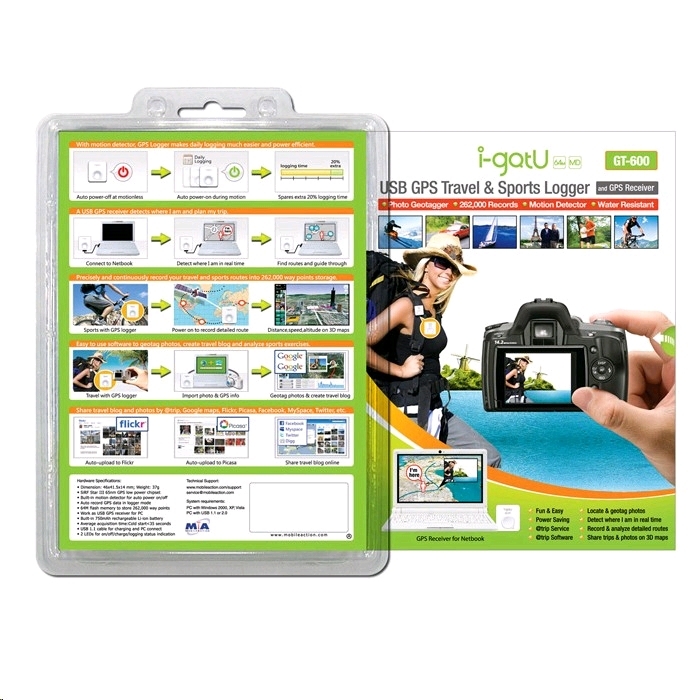 With i-gotU, organizing the pictures taken on your trip is more fun and easier. -1 Electronic User's Manual in 11 languages: English. Dutch. French. German. Italian, Spanish, Russian, Japanese, Hugarian, Traditional-Chinese, Simplified-Chinese. Logger arrived on time and works exactly as expected.